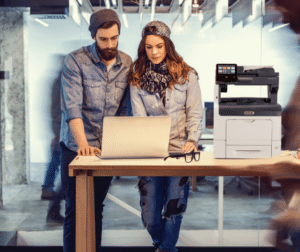 One of the main reasons that people get a printer or copier for their office is to improve efficiency. However, not many people consider what they really need in order to do that. When many people are doing their research they only worry about print speed. If you want to truly improve efficiency, then you need to learn why warm-up time matters. Warm-up time is the time it takes for your machine to go from being completely off, to producing your first print. This is extremely important if you are a smaller business that doesn’t do a lot of large print jobs. In fact, warm-up time can become the biggest factor into how efficient your machine is. If you run a smaller business then you may only do a few print jobs every day that are relatively small. If this is the case it would not be unusual to turn your printer off in-between jobs in order to save money. This would mean that you need to continuously wait for your machine to warm-up in order to do your job. Alternatively, if you work for a busier office then your machine will probably be on all day. You could be constantly doing print jobs and you need print speed to be the thing that keeps your business flowing smoothly. Understanding why warm-up time matters is crucial to choosing a machine that’s right for you. Give us a call today at Colorado Springs Copier and we can help you make a smart choice that can take your business to the next level.